Two of Hollywood’s finest go head to head in the ultimate battle for redemption in Two Men In Town, which arrives on DVD on 6th July. Forest Whitaker leads in this modern-day western as a good-willed Muslim ex-con with violent tendencies opposite Harvey Keitel, a vengeful sheriff who makes it difficult for him to get back on the straight and narrow. This gritty, no-holds barred psychological thriller tells the story of troubled youth Will Garnett (Whitaker) who is finally being released after an 18-year long stretch in prison. With the help of an idealistic parole agent (Brenda Blethyn ) and his new-found Islamic faith, Garnett struggles to rebuild his life and overcome the violent impulses which torture and possess him. However, Bill Agati (Keitel), the vengeful Sheriff of the small New Mexico border county where Garnett is released, has other ideas. Convinced that Garnett is irredeemable and major a threat to the security of his county, Agati launches a vicious, sustained campaign to return Garnett to prison for life. A brilliantly understated revenge drama which asks the question: can we ever truly leave a dark past behind and start again? In Lee Daniel’s The Butler, Forest Whitaker dons the role of Cecil Gaines, who served eight presidents as the White House’s head butler from 1952 to 1986. Forest Whitaker shines in this heart-warming story, as Cecil gracefully walks the line between formality and servility. David Oyelowo plays his troubled son, who becomes entrenched in the black power movement with Oprah Winfrey portraying Cecil’s wife. There are also superb presidential turns from Robin Williams, Alan Rickman, John Cusack, Liev Schreiber and James Marsden. Forest Whitaker stars alongside Denzel Washington in this story about a black college debate team in the 1930’s. Although Washington steals the show in this empowering drama, Whitaker gives a powerful and assuring performance, supporting as James Farmer Senior, the father of debater and future civil fights figure James Farmer Jr. A little known fun fact about this great film is that the actor playing Forest Whitaker’s son was named Denzel Whitaker! Forest Whitaker took home a Best Actor Academy Award and BAFTA in 2007 for his terrifying yet brilliant portrayal of Ugandian dictator Idi Amin in The Last King of Scotland. James McAvoy co-stars as Nicholas Garrigan the Scottish doctor who is taken under the wing of Amin and becomes his personal physician. As Nicholas becomes closer to Amin, he uncovers the truth behind the dictator’s savage autocracy. An unorthodox DJ, Adrian Cronauer, played by the eternally missed Robin Williams, shakes things up when he is assigned to the US Armed Services Radio station in Vietnam. There Cronauer meets and befriends Private First Class Edward Montesquieu Garlick (Forest Whitaker), who becomes his sidekick and co-presenter. Cronauer's irreverence contrasts sharply with many staff members and soon rouses the ire of two of his superiors, Second Lieutenant Steven Hauk and Sergeant Major Phillip Dickerson who do their utmost to have Cronauer and Garlick deposed. Forest pushes the envelope of sexuality in his film The Crying Game; about a British soldier named Jody, who is kidnapped by terrorists and held hostage by the Irish Republican Army. While with the IRA, Jody (Forest Whitaker) convinces one of the guards to look after his girlfriend who is actually a pre-op transsexual. This ‘80s teen classic was Forest Whitaker’s breakout film, in which he played the gloomy and intimidating high school football star Charles Jefferson. In a fantastic scene, Whitaker thrashes his Lincoln High rivals on the field, mistakenly thinking they wrecked his car and wrote racial slurs, and wins the big game for Ridgemont in a blowout. Blending quiet nobility with a killer instinct, Forest Whitaker plays Ghost Dog, a mob assassin and self-taught samurai who is obsessed with order and his strict personal moral code, drawn from the philosophies of the Japanese warriors. When Ghost Dog becomes dispensable to his mob superiors, he must fight for his life in high-octane fights, samurai swords and plenty of action. Visionary director Spike Jonze brings Maurice Sendak's beloved children's book to the big screen In the fantastical Where the Wild Things Are. 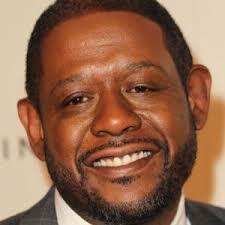 In the film Forest Whitaker plays Ira, the slow-witted but goodhearted monster who has a very calming effect on the group, despite his talent for punching holes in tree trunks. Whitaker’s soothing voice takes the audience to different world... literally! Orlando Bloom stars alongside Forest Whitaker in this intense drama about policemen, Ali Sokhela (Forest Whitaker) and Brian Epkeen (Orlando Bloom) who investigate the brutal murder of a young white woman, apparently provoked by the availability of a new illegal drug. With an intriguing premise and Whitaker providing excellent tension and grit throughout, this crime drama is a well paced and fairly unpredictable ride for audiences. Clint Eastwood directs this heartfelt study of saxophonist Charlie Parker, played by Forest Whitaker. This film shifts back and forth through Parker’s brief life before his heroin overdose at the age of 34. Charlie Parker is beautifully and sensitively acted by Whitaker who took home a San Jordi Award for Best Foreign Actor for his work in this powerful film. TWO MEN IN TOWN arrives on DVD from 6th July 2015, courtesy of Signature Entertainment.